The big news today is not the appointment of a new Supreme Court judge, and not North Korea’s underground nuclear test. 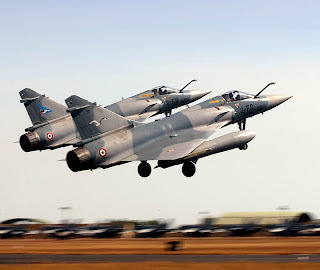 The real news is that France opened its first foreign military base in 50 years, in Abu Dhabi, United Arab Emirates. (http://www.guardian.co.uk/world/2009/may/26/france-military-base-uae ). Why would France do that? Oil is one obvious answer. France needs to protect a future supply of oil just as the US has military bases in the Middle East for the same reason. 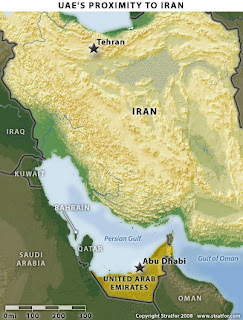 Secondly, the new base is a mere 137 miles from Iran, and that is surely no accident. That delightfully tweaks the Iranian nose, but also stands as a serious warning, by the UAE, and by implication, from other Arab states, that they are prepared to confront an aggressive Iran, even a nuclear Iran. France is a nuclear power, of course. French president Nicolas Sarkozy highlighted the new base’s ability to fight pirates in the shipping lanes, but that is more misdirection than motivation. The longer term strategic interest is that France wants to project its foreign policy into the Middle East to compete for military, economic, and cultural influence in the Arab world. That is a competition the U.S. would love to lose. We want out, not in. Let France strut its stuff for a while. We would pay them to open that base! (Maybe we did, who knows?). The history of the Middle East is the history of Western meddling, especially by Britain, France, Russia, and the U.S. There is almost no other history to tell since before World War I. The uncertainty and latent instability in the region today is legacy of that sordid modern history. If we did not need the oil, we could let the devil take the hindmost. As it is, we should be grateful to France for providing some backbone while we are otherwise occupied. We have indeed come a long way from "Freedom Fries."